When you travel to Tbilisi, you will be impressed by the hillsides and the fast flowing Kura River. Visitors can wander through the many narrow streets and stop for some coffee or visit a Georgian museum. You will see many churches and mosques, as well as old buildings with traditional balconies. The old ancient Eurasian culture is still very present, and Georgian hospitality has no limits. 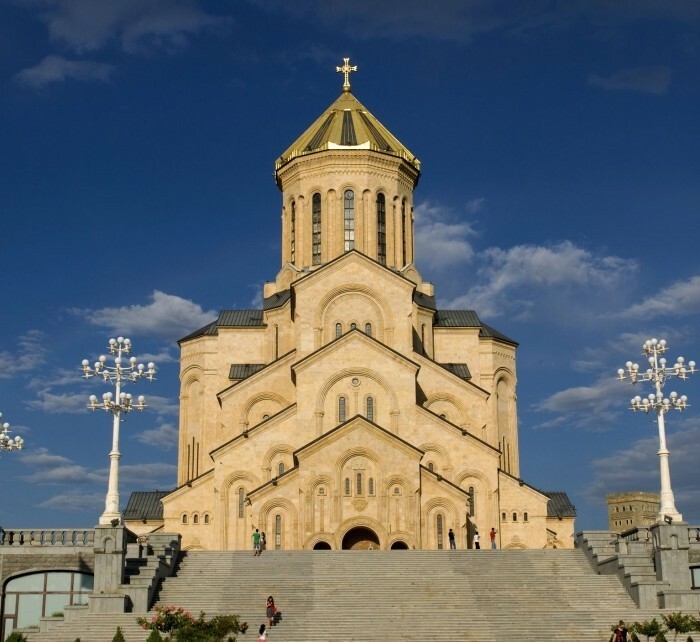 Book cheap flights from Moscow to Tbilisi with Flysiesta.ru. We offer low cost airlines tickets such as Wizzair, Ryanair as well as traditional airlines tickets. The informational table of direct flights contains the information about the cheap direct flights from Moscow to Tbilisi organized by the airlines. The flight schedules of the airlines help to plan a trip in a easy way and find the cheapest flight from Moscow to Tbilisi. Knowing the low cost airlines‘ schedule from Moscow to Tbilisi, you may perform a more detailed search for the cheapest flights. While selecting the flight, Flysiesta.ru suggests paying attention to the flight schedules of the low cost airlines such as Ryanair and Wizzair. Normally, the low cost flight airlines operate low cost flights on business days; therefore, while searching for the cheap flight tickets, it is important to select the flights operated in the beginning and end of week. To obtain the cheapest flight tickets, it is recommended to book them not later than 6-8 weeks until the date of flight with the low cost airlines.